We specialise in weddings, corporate functions, special events and accommodation on our distinctive farm with its stunning location near Haga Haga on the Eastern Cape Wild Coast in South Africa. We’re big enough to accommodate up to 150 guests for functions. At the same time we’re abundantly homely to ensure affinity and intimacy in what we offer. We make it our concern to understand the needs, requirements and even the whims and impulses (should these exist!) of our patrons … and we offer it in a setting unrivaled for its natural beauty. OppiePlaas Haga Haga also offers top-quality self-catering, bed & breakfast and campsite accommodation. We, furthermore, run a family owned pub and restaurant which is open during the Easter and Christmas holiday seasons and over selected long weekends, where we serve delicious, hearty food. OppiePlaas Haga Haga Wedding and Function Venue, Accommodation, Pub and Restaurant – Your dream event, our perfect place. 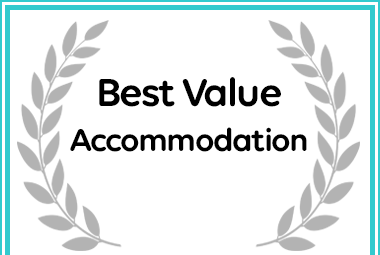 OppiePlaas Haga Haga Self-Catering Cottage in Haga Haga received a Best Value Self Catering Destination Award.